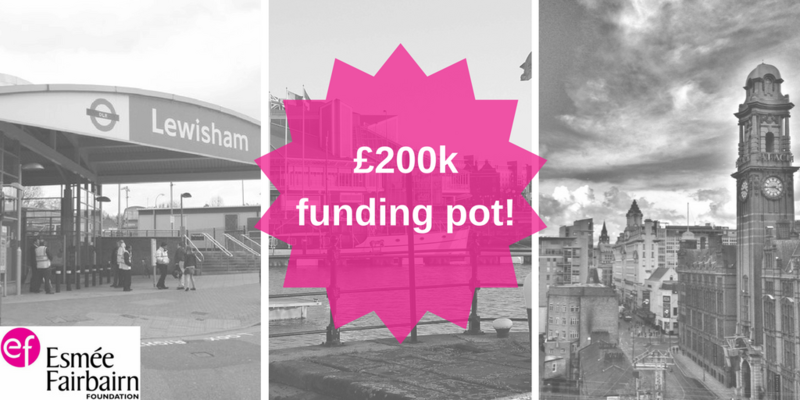 Esmée Fairbairn Foundation has launched a new funding pot of £200,000 to support crowdfunding projects in Hull, Manchester and the London Borough of Lewisham. The fund went live on the 28th of September and people and organisations who are interested in crowdfunding projects that bring the community together using the arts, culture, food or green spaces can apply for pledges to their campaign on Spacehive.com. Individual project creators could receive a pledge of up to £2,500 whilst organisations could receive up to £15,000 for projects that fit the criteria. Through crowdfunding Esmée aims to get its money to projects which have genuine community support and demand alongside individuals, the council and local businesses. Esmée Fairbairn Foundation is one of the largest independent grant-makers in the UK. Their aims are to improve the quality of life for people and communities throughout the UK by funding organisations with the ideas and ability to achieve positive change. This is a brand new way of funding projects for Esmée and they’re excited to explore and learn from the opportunities crowdfunding offers. “Crowdfunding is an amazing way for people to decide what happens in their environment and democratise the way community projects are run” says Caroline Mason, CEO of the Esmée Fairbairn Foundation. The aim of the initiative is to fuel a more efficient, impactful, and accessible approach to grant funding local projects across the UK. If you have a great idea to transform where you live, then upload your idea on Spacehive.com, start crowdfunding and you could receive a pledge from the Esmée Fairbairn Foundation. Find out more about the fund and how to apply here.